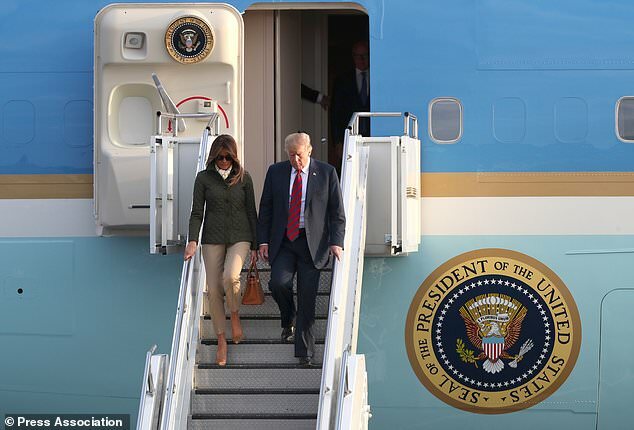 Policing Donald Trump’s four-day visit to the UK cost more than £14.2 million, according to newly revealed figures. 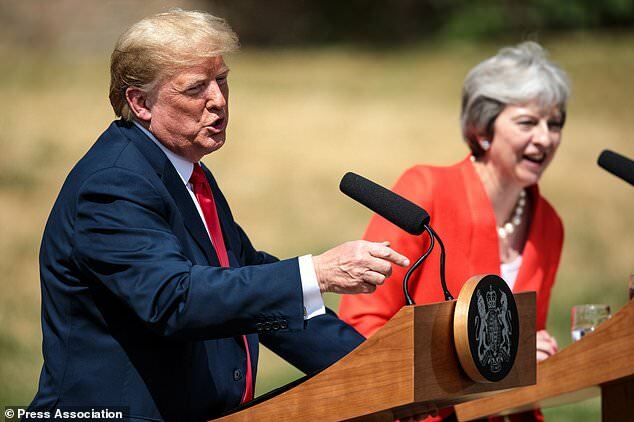 In a highly unwelcome move, the property mogul told The Sun he would have handled Brexit negotiations ‘much differently’ to Mrs May and that her plan could ‘kill’ any UK-US trade deal. Thousands also protested across Scotland during what was termed as a ‘private visit’, and police investigated a Greenpeace-backed paraglider who flew over the resort. ‘The revised total reflects the fact that his visit was confined to Turnberry,’ said Assistant Chief Constable Mark Williams. The bill would be picked up by the UK Treasury, he added. 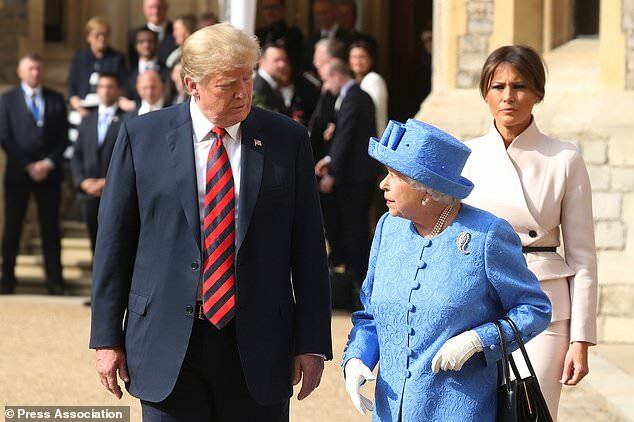 A Home Office spokesman said: ‘We received applications from three forces for special grant totalling £7.9 million in relation to their additional costs arising from the US president’s visit. The figures were released by the hosting forces, as well as BTP, after their final costs had been tallied.